The Swimming Pool "Resource on The Web"
Swimming Pool Operators, Owners, and Swimming Pool Engineers. and was the FIRST U.K. SITE for swimming pool owners and operators. Some pages are quite long and may take a minute or two to load. There are NO Cookies used on any of the pages on this site. We hope you find this site interesting and useful. We frequently add to these pages, so please come back and visit here again soon. There is a large amount of resource material, useful information and help on this site. You may wish to Bookmark this page so that you can join our growning number of regular visitors. Please scroll down this page to get to the Index. These pages are produced and maintained by Malcolm R Bartier M.Inst.S.P.Eng. School Road, Copford, Colchester, Essex, CO6 1BU, England. PLEASE READ THIS DISCLAIMER :- All the information and advice on these web pages is given in good faith and believed correct and accurate, but we cannot be responsible for any form of loss, damage or injury or death however caused, through the use of any information, recommendation or advice detailed anywhere on this web site or communicated to you in any other way. The suggestions we offer are based on our experience, knowledge and the current conditions, recommendations, regulations, and Codes of Practice in the UK. Some advice, while valid in the UK may not be acceptable or practical in some other countries or areas. Some advice, while valid for most installations, may not be valid for your particular pool/spa/installation/equipment. All advice is given on the understanding that we will not be held liable for any subsequential loss, damage, injury, etc., however caused. There should be no substitute for getting help and advice from your local pool installer/engineer, who should be familiar with your local conditions, local codes and regulations, and your particular installation and equipment. COPYRIGHT:- All the information on these pages are for your PERSONAL USE. You may freely download, and retain anything for your own use that appears on this site provided you also retain and include a reference to this site and this copyright notice.. However, any part or whole of any article, text, or information that originates from this site may not be included in any publication, commercial literature, etc., etc., on any other web site, - or in any area where commercial or personal gain is conceived, without the express permission in writing from Malcolm R Bartier. The Bartier Disinfection Index may be included in any commercial publication provided that (a) It is reproduced in its entirety, complete with reference and credit to its originator - Malcolm Bartier, and (b) that no charge or cost (other than normal printing and distribution costs) are imposed, and (c) that the name of the index remains as the "Bartier Disinfection Index". The Swimming Pool Operators & Owners Pages is divided into 8 main sections with a total of more than 45 pages - each dealing with a different topic. The Caromal Training is probably the largest provider of Commercial swimming pool plant operator training in the UK with a permanent specialised Training Centre. Caromal have been delivering Pool & Plant Room Training for more than 20 years to Local Authorities, Hotels, Schools and Private Health Clubs etc. We deliver approximately 40 training courses each year to delegates from all over the world. * Level 1 Pool & Plantroom Operator Training - Basic Systems & Basic Water Chemistry. * Level 1A Pool & Plantroom Operator Training - Water Testing Methods. * Level 1B - Hygiene for Swimming and Hydrotherapy Poolside and Care Staff. * Level 2 Pool & Plantroom Operator Training - Advanced Water Chemistry. * Pool & Plantroom Operator Training - Plant Room & Equipment Maintenance. * Pool and Plantroom Health & Safety and Chemical Handling. * Swimming Pool General Consultancy. * Swimming Pool Design Consultancy. * Circulation & Filtration Design Consultancy. * Problem Solving & Trouble Shooting Consultancy. * Commercial Swimming Pool Operational Consultancy. * Commercial Pool Assessments Consultancy. * Swimming Pool Health & Safety Consultancy. * Swimming Pool Regulations and Codes of Practice Consultancy. * Swimming Pool Construction Project Maintenance. A description of some of the specialised equipment we supply. A description of the Computer Software we have developed. * Poolmaster 2000 - Circulation and Filtration calculations. * Pool Analyser - Plug-In for Poolmaster 2000. * Heatmaster 2 - Heating and Heat loss calculator. * Tilemaster - Pool Shell surface area calculator. and many of the links are closed. We apologise for any inconvenience. Our Swimming Pool Construction Company builds high quality commercial and residential pools and spas etc. For simplicity, there are NO "Links" in any text. Each of the pages have links at beginning and some have links at the end. From the humble beginnings in January 1992 of just one page on a Service Provider's web site, we have seen our site grow and grow. It started simply as a means of advertising our presence on the Web. We then added information which we were regularly sending to various clients, so they could access our site and download the latest update. After that we started adding information to help pool operators and owners throughout the world. We then registered 'Caromal' as a Domain Name and moved everything onto our own Domain Site here and the site grew even larger. We made a complete redesign of the site in September 2000, by dividing it into six separate sections and expanding it still further. We are still adding more and more, and many new pages and additional subjects are being prepared. We are always pleased to hear from our visitors and read their comments about this site. We may not be able to reply to you immediately but we do read all email. Tell us what you like (or don't like) about this site, and tell us what else you would like to see here. But, we have to remember we also do run a business, and this site also serves to advertise our business throughout the world. This site is not sponsored or funded externally in any way. The products and services that we advertise here - are products and services that we sell! - We also sell a lot of products and services which are NOT yet advertised here. If you have a problem that you believe we may be able to resolve for you, you if we have a product that you require - please contact us, ........ phone, fax, or email, or even good old "snail mail". - It is your business which will help us continue with ours. Spelling and Grammar. - Well, we are only human!, and these pages are often written or updated in the late hours (sometimes on into the early hours) - so if you see some glaring spelling mistakes or grammatical errors please let us know. We provide a comprehensive Technical Support to swimming pool owners, operators, managers, and plant room staff, and also to the Pool Trade. 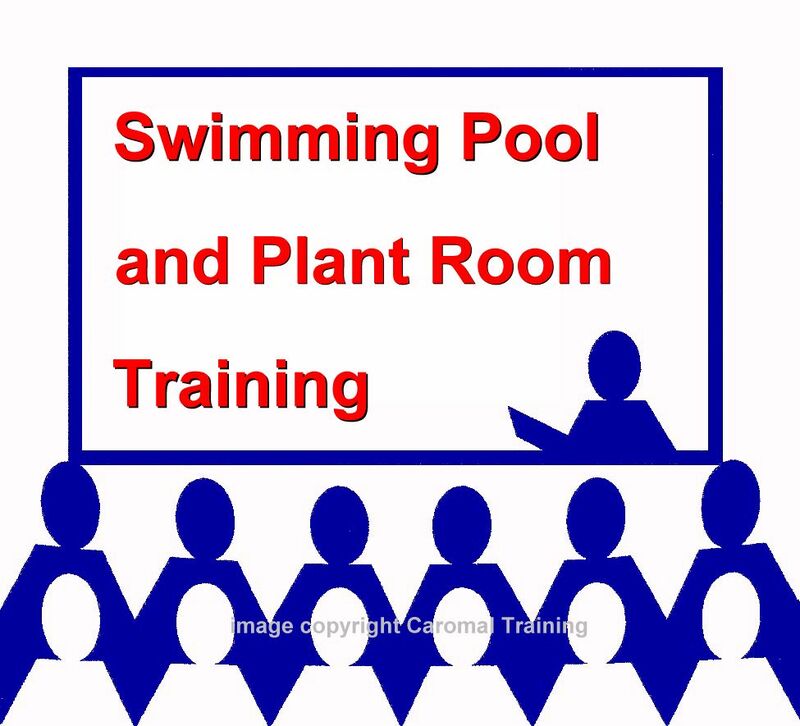 We deliver Pool & Plantroom Staff Training and teach them specialist knowledge to enable them to operate their facility correctly, safely, and economically. We carry out a comprehensive water analysis and investigate swimming pool operational and functional problems. We supply specialist equipment and expertise not normally found with regular pool builders and equipment suppliers. We provide essential technical support for Water Chemistry to Pool Installers, Builders, and Dealers throughout the world. Our Software business produces specialist Computer Software for swimming pool engineers. We design and specify complete Circulation and Filtration systems for all types of commercial and private pools. We Project Manage pool and spa construction, repairs and refurbishments, both commercial and residential. We produce schematic diagrams for the filtration and circulation of all sizes of swimming pool or water feature. We carry out Servicing, Engineering, Repairs and Refurbishments to Commercial, Residential and Hydrotherapy pools and spas, etc. Our retail business supplies all types of Pool Equipment, Parts & Chemicals, plus Hot Tubs, Pool Kits and Above Ground Pools. Our construction company - Caromal Swimming Pools builds all types of pools - commercial, hydrotherapy, domestic - indoors and outdoors. For security reasons we do not use any "high-level" email browsers - such as Microsoft Outlook etc., and therefore any email sent in this format cannot be read. We also do not accept email in "Microsoft Word" format, or any other type of "high level Word Processing" program. Please ensure that all email is sent in "plain text" format - i.e. it can be easily read in the default "Windows Notepad", or a similar "low level" plain text editor. PLEASE NOTE: The images on these pages are for illustration only, and have been reduced in size to save your downloading time. The quality is not very good, but at least you get an idea! Having been connected to the internet since the very early days of around 1992 when a search for "swimming pool" would yield around 6 web sites, we have seen a huge increase in the number of swimming pool related internet sites and also a massive proliferation of so called 'information' sites. While not wishing to condemn these sites out of hand since many do provide accurate and useful information, it has to be remembered that the internet is entirely uncensored and not monitored regarding the accuracy of information offered. In particular we have noticed that a number of "information" sites offer identical incorrect advice on some matters and we can only assume that their researchers trawl the internet in order to gain information to publish. This can lead to increasing amounts of incorrect information and advice being published due to the compounding of errors as the information is copied from site to site.. Whilst not wishing to sound pompous, we have been actively engaged for more than 20 years in teaching Water Chemistry and Pool & Plant Operations to Local Authorities, Schools, Hotels, Leisure Centres, and also specialised training for Environmental Health Officers. The information we offer is based on our knowledge, expertise, experience and our academic research. You will notice that we do not recommend any particular Brand of chemicals on our resource pages, since we have no financial connection with any chemical manufacturer or supplier. Whilst we may suggest a type of chemical, we do not suggest specific Brand Names. If you happen to find any other web sites claiming to be impartial, but promoting particular brands of chemicals, it's usually fairly safe to assume that there is a rewarding connection somewhere. We do not approve of web sites claiming to give impartial information whilst not revealing a connection with a chemical manufacturer or distributor. If you wish to make contact with us in order to explore the possibilities of doing business together, please place "Business" in the subject section of email (or even fax or 'phone us. We do NOT welcome unsolicited Spam email that is not relevant to our business. Human Email Harvesters are particularly NOT wanted here. We will NOT provide links to other commercial sites. so please don't bother to ask us! The following people/organisations have swamped us with SPAM EMAI. We have placed their email addresses here to be picked up by the spam email harvester bots. They will end up spamming themselves!! !